The Ridley brand and its distributors, Sinclair Imports, of Reno, Nev. and Quality Bicycle Products, of Bloomington, Minn., have announced the recall of approximately 105 model 4ZA Threadless Carbon Bicycle Handlebar Stems. According to the CPSC website, these carbon handlebar stems were sold as individual aftermarket components. The stems are black and have the words "4ZA Cycling Performance" painted on the carbon extension between the steerer clamp and handlebar clamp. The recalled stems range in extension lengths from 90mm to 130mm, approximately 3.5 to 5 inches. 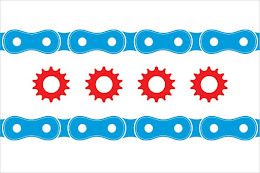 In Illinois, bicycle riders are primarily required to ride on roadways. According to Illinois Statute, riders are to ride as close as practicable and safe to the right-hand curb or edge of the roadway in most situations. (IL ST CH 625 § 5/11-1505). Failed components could cause the rider to fall into oncoming traffic. In Illinois, manufacturers of products can be held liable for personal injuries or wrongful deaths that occur from a defective product. The law in Illinois holds manufacturers "strictly liable" for any injuries or deaths that occur. The law simply holds that there is liability if the product fails when "put to a reasonably foreseeable use." A defective handlebar stem that could fail and cause a fall is a prime example of a defective product that could lead to a product liability case.